Michelle Lu Yin is a principal economist at AIR, where she focuses on labor economics. Dr. Yin has led a range of research studies using quasi-experimental designs in the areas of science of science policy, disability, and postsecondary education. Dr. Yin has a strong background in policy evaluation design, survey design, and statistical analysis. Dr. Yin’s professional experiences include leading various projects in the areas of income disparities between people with and without disabilities, teacher effectiveness and student labor market outcomes in adult education, design and labor market consequences of accountability in adult education, and higher education finance and accountability. At AIR, Dr. Yin is currently leading a study that examines the income disparities between adults with and without disabilities by educational attainment. She is the lead econometrician in an NSF-funded study that examines the impact of different research funding structures on the training of graduate students and postdoctoral fellows and the impact of their subsequent outcomes using various quasi-experimental designs. Dr. Yin has also led cost-benefit analysis projects in higher education for which she provides expertise in econometric analyses and insights in labor market analysis. 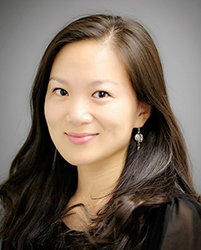 Dr. Yin has served as lead methodologist on impact evaluation projects at both state and national levels. In these projects, she designs and conducts impact analyses of program interventions and randomized control trials. Dr. Yin has extensive experience linking and analyzing large-scale national-level databases in addition to several district- and state-level databases from Florida, New York, Ohio, and Texas.